Am I the only one who was clueless on Hollywood Regency until this last week??? I've heard the term thrown around but never quites got it figured out until now! Let me know if you see anything incorrect, or have something to add! .................in other news I am getting married in TWO WEEKS. Also my fiance has bought a house and we are painting our little hearts out getting it ready. I have lots of post ideas to share with you including, maybe: outfit posts, wedding stuff, and house-reno projects in the not-tooo-distant future...plus interviewing some of YOU (not boring interviews. I only like the juicy bits) once we get ourselves together..! Any other ideas? Watch this space. 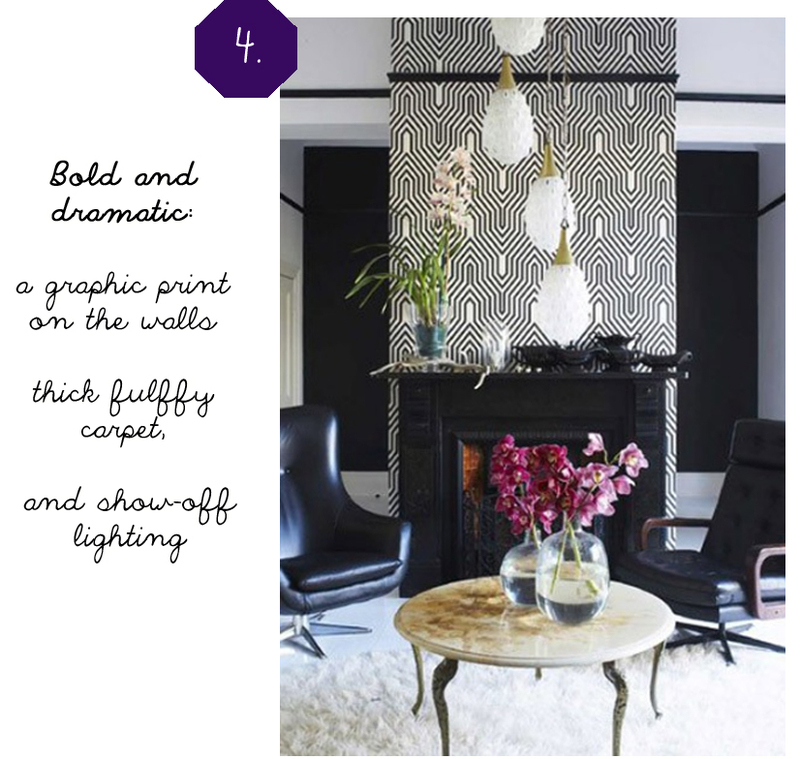 Hollywood Regency style is so bold & glamorous! I love it though I don't think it would work in my space. Congrats on your upcoming wedding! You must be so excited and busy! 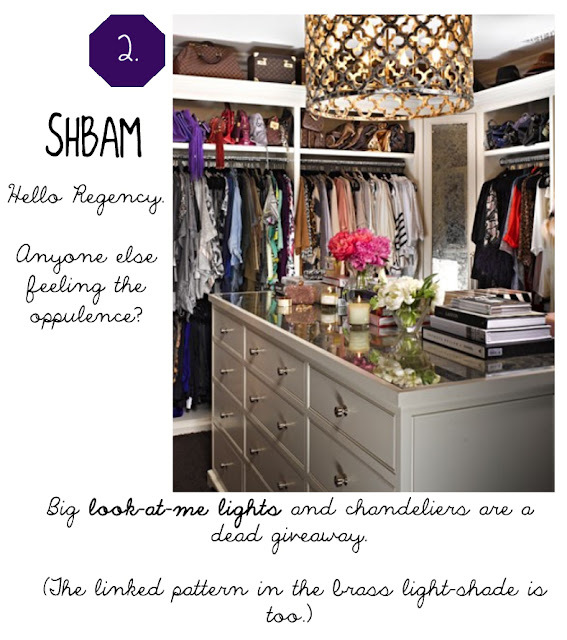 i'm in love with all of this glamorousness! 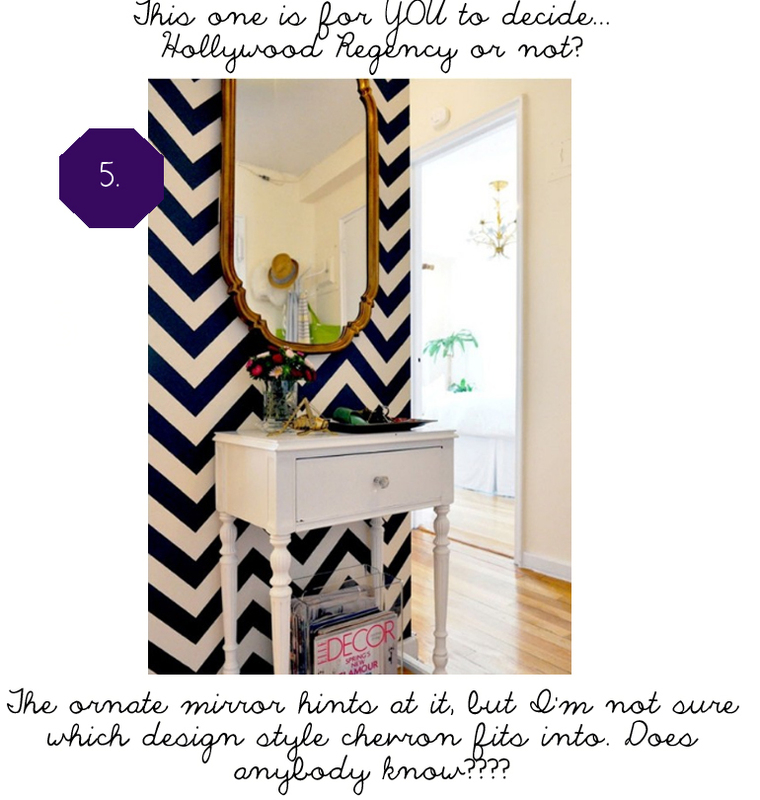 I am not too familiar with Hollywood regency but the mirror does add to that feel..chevron is a very old pattern originating in Europe I believe, but it has been modernised with the mix of colors. This could pass for part Hollywood Regency/part eclectic. Thank you for visiting and commenting..I am now following you. And enjoy the wedding! 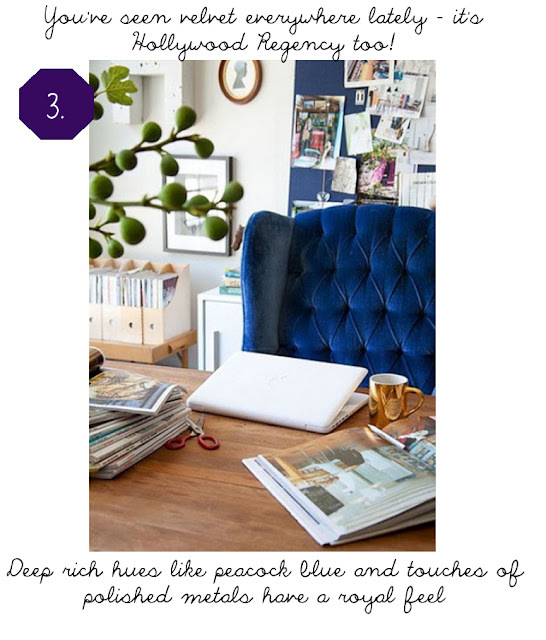 I love that blue tufted office chair! So luxe for work! Two weeks until your wedding?!? That's so exciting!! Love this post too. Gorgeous images. I love this style, although I didn't know that's what it's called. Do you know why? 1930s Hollywood is pretty much my favourite design era. I desperately want a Hollywood Art Deco bungalow and paint it in all those dusky pinks and bright greens. Problem is that there aren't a lot of those in London. 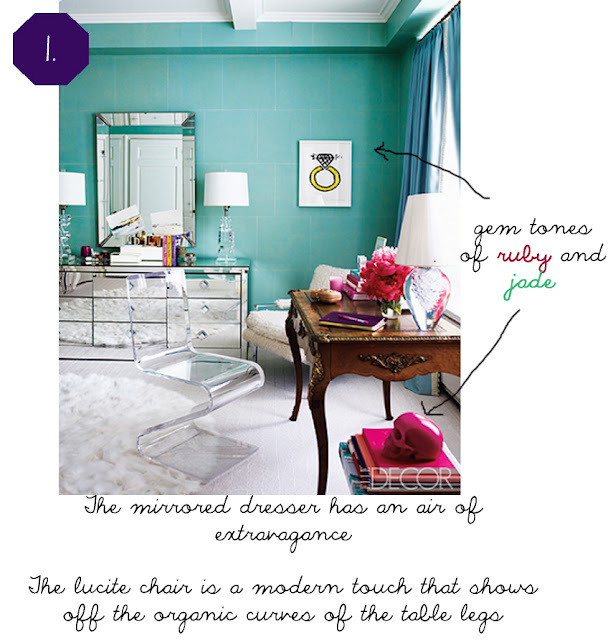 Lovely blog, it looks great! PS do you know your About Me page isn't working? Hello closet...how I wish you were mine! Also loving that blue desk chair! I love your post and your blog is lovely. I'm a big fan of trying new things out when it comes to decorating and I'm always looking for new things to inspire me - so I'll be bacK ! Thanks for popping by mine too. Love this post! Like you, I've heard the term tossed around and had an idea what it meant, but I love to see the full definition with examples (gorgeous examples!) Congrats on getting married and I hope it's an absolutely amazing day for you!